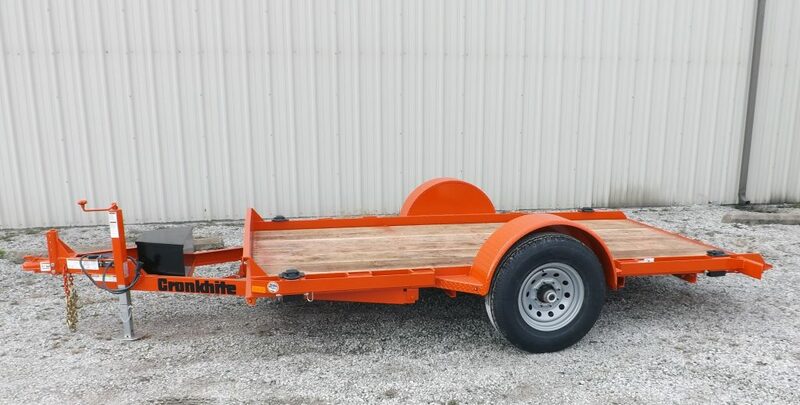 The 500 Series is our single axle tilt deck trailer line. 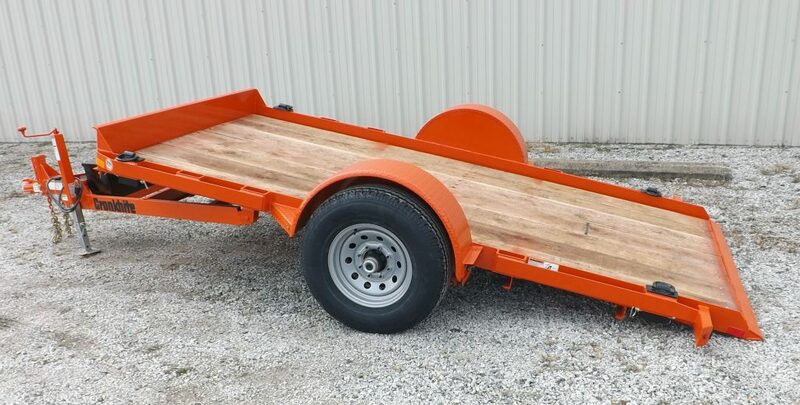 This line consist of 3 different models in 2 different axle capacities (3.5K & 6K)and 3 different deck lengths 10 Ft – 12 Ft – 14 Ft. Due to a smaller footprint they are easier to maneuver and handle, but offer great versatility for hauling a wide variety of construction equipment due to the rugged, heavy duty materials and quality welding. Angle frame construction and Dexter drop axles keep the deck height to the lowest in the industry. 15”. 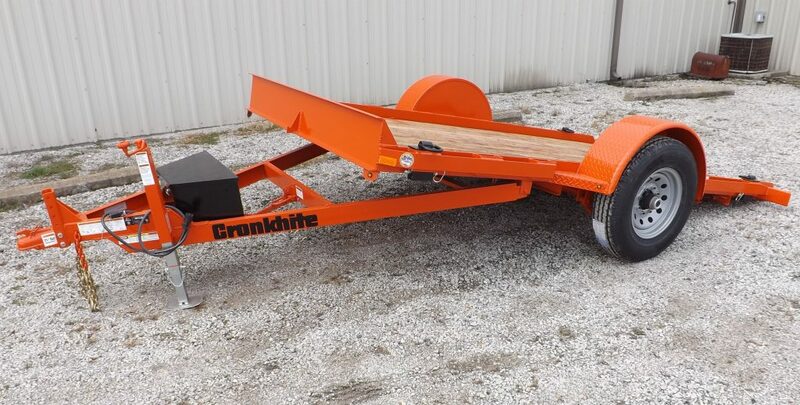 This low deck makes it easier, safer, and faster to load a wide variety of construction equipment like scissor lifts, forklifts, small rollers, and other small industrial equipment. 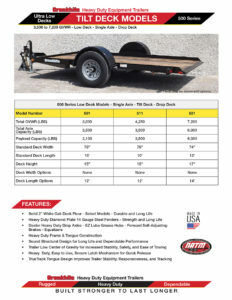 Although they may be smaller in size, they share many of the same quality heavy duty features that are found on tandem axle trailers with much larger axle capacity. 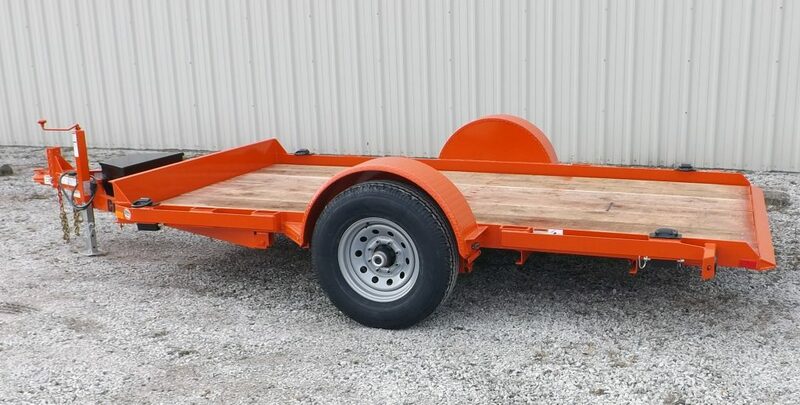 Diamond plate fenders, adjustable coupler, oak decks (531), radial tires, Dexter drop axles. Click on the image to view specifications in pdf.